 One of the top 10 Dental Colleges in India and in top 3 among private Dental Colleges. The college and hospital is spread over a 23 acre campus with 2,50,000 sq.ft. The hospital is one of the largest dental centres in the country and treats about 1,30,000 patients a year. Library facilities with more than 8000 books on dentistry & medicine. Only Dental College to be Accredited by NAAC 3 times. International linkages and accreditations with Royal College of Physician and Surgeons, Glasgow, UK. Collaboration with Smile Train, USA. MoU with Tufts University Schools of Dental Medicine, USA. 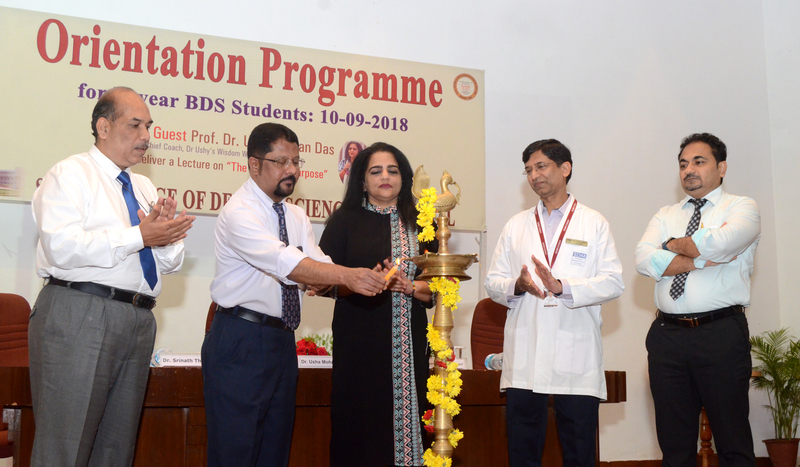 BDS degree offered by the institution is recognized by Govt. of Malaysia. First College in India to have exclusive department of Forensic Odontology. Quick apply for MDS Admissions can be done here. Quick apply for BDS Admissions can be done here. 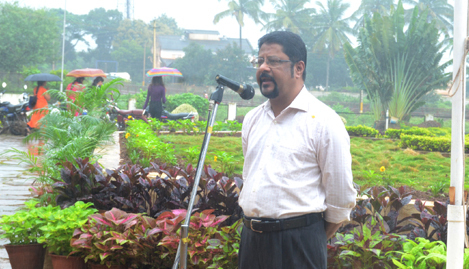 Spandana the alumni association of SDMCDS organised IXth Spandana alumni meet on 13th and 14th August 2016 at SDM College of dental sciences. The campus of SDM Dental College is never short of any facilities that will delight the students. 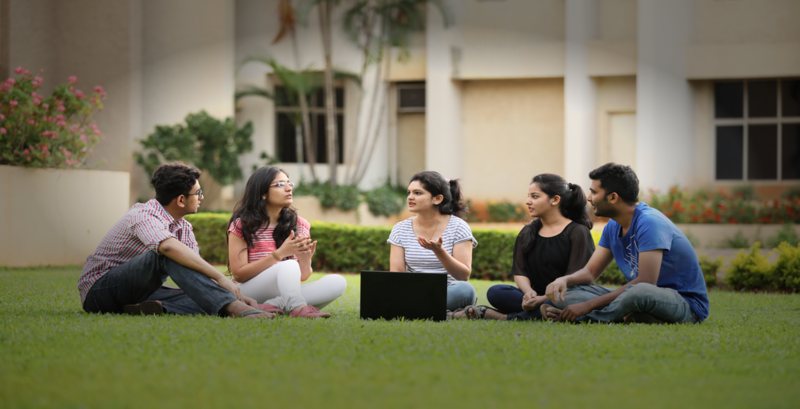 Furnished hostels, facilities for sports and other extra- curricular activities, cafeteria and much more make the Student experience ever memorable. The well planned, wonderfully stacked and welcoming library at the SDM Dental College with its huge collection of books, journals, and study material including e-books, e-journals of repute is a boon to the learners. I am proud student of SDM College of Dental Sciences, pursuing MDS in Conservative Dentistry. I have found a wonderful confluence of professionalism in all key aspects of dental science in this college. The service oriented approach to academics prevailing in the college has made me not just a doctor but a doctor with humanitarian out look. A wonderful synergy of the faculty and students who are inquisitive, curious, thirsty for knowledge with unquenching urge to move beyond the books and come up with solutions to oral health care issues through continuous research and innovation. 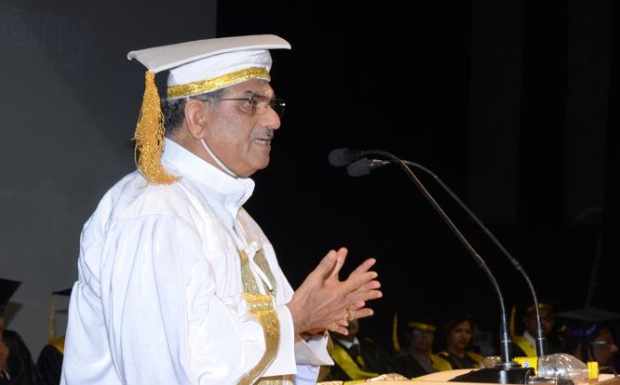 1,40,000 sq ft of college space, 9 full-fledged departments, attached medical wings, most sophisticated craniofacial and implantology units, flood of patients ranging from 400 -600 every day, indeed SDM College of Dental Sciences is the master trainer in dental science, not compromising with anything less than excellence. My passion to be a dentist, has found a great match in the SDM College of Dental Sciences. I am aided in my learning by most professional staff. The insights they provide and the humanistic outlook they inculcate in us is outstanding! I knew that this college ranks among the top dental colleges in Asia. Getting admitted here was my dream. Here I got the opportunity to study with a ocean of brightest minds from across the nation. Enter your E-mail Id in the subscripition box to join our mailing list and stay updated on Campus News and Events.